We design and manufacture high calibre custom cabinetry, millwork and furnishings. We work with homeowners, as well as the trade. Contact us for your next project! 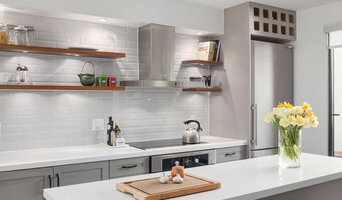 Aero Kitchen and Bath has been providing quality cabinets and renovations throughout the Metro Vancouver with a strong commitment to workmanship and attention to detail! The Master's Touch Painting & Spray Shop Ltd. Kitchen Art Design is a local manufacturer of custom cabinetry. Our cabinetry is not confined to standard colours, shapes, or sizes. We create personalized spaces for each of our client’s desires. Our cabinetry is constructed for longevity, durability, and functionality so that our clients receive refined and functional storage solutions that maintain their value. We control this by keeping every project within our walls—from the dream and design to the build and installation. The success of our process is thanks to an outstanding team of experienced designers and staff, who are constantly working towards a better product. Our Values: -TRUST-We operate with a spirit of mutual respect, integrity, and truthfulness. -COLLABORATION-With cooperation, teamwork, and encouragement, we are stronger than we could be on our own. -OPENNESS-We create better results by being open to a diverse range of perspectives, ideas, and pursuits. -GENEROSITY-Our purpose is to lift others and create greater opportunity and potential for them and their communities. -EXCELLENCE-We achieve superior results through planning and accountability. -INNOVATION-Success comes when we challenge the status quo and invest in innovation. Our Mission: We aspire to elevate our world by supporting the talents of our partners and clients, so they can meet their true potential and, in turn, lift others. With your cooperation, teamwork, and encouragement, we are stronger than we could be on our own. We are a cabinetry wholesaler and outlet that sells semi-custom wood cabinets in Greater Vancouver (and beyond!). We have a giant showroom with over 20 kitchens on display. Family owned and operated, we’ve been one of Vancouver Island’s leading cabinetry manufacturers for over 30 years. As a full-service manufacturer, we provide design, delivery, and installation services. We'll work with you every step of the way to design your space with creativity, functionality, and appearance in mind. Raincoast Door & Specialty Wood Products Inc. is a wholesale supplier of high end and locally made specialty custom cabinet doors to professional cabinet manufacturers and millwork shops since 1996. 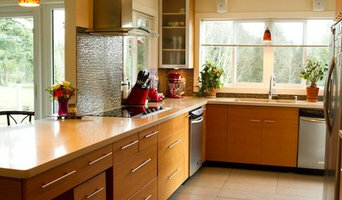 Sunshine Cabinets has been serving the Lower Mainland area since 1989. Sunshine Cabinets has the widest selection of cabinet styles whether its for a traditional style or a more contemporary style. Hi-Design has been making custom cabinetry for nearly 20 years. Hi-Design are experts in our field with certified experienced designers. Contact us today and experience a higher standard. Uni Cabinets is a local business with a global outlook. We bring the world's best quality machinery, talented artisans, and artistic acumen right to your home – always on time and on budget. 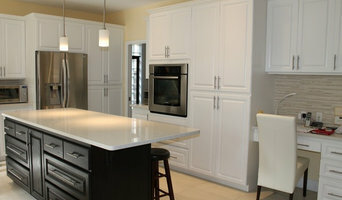 Atlas Custom Cabinets has over 15 years experience in the cabinetry business. We provide our clients with the cabinetry to match their lifestyle. At Westwerk custom cabinetry, we have been designing and building custom millwork for over 40 years. Get started with us by booking an appointment with one of our designers today. Jackson Cabinets Ltd. and its divisions, Duke Custom Kitchens and Duke Architectural Millwork, have been producing quality kitchens and commercial millwork since 1978. In addition to manufacturing and installation, we also offer a full suite of services, including design consultation, budget optimization and the preparation of 3D renderings. Our Vancouver based facility partners state-of-the-art equipment with skilled craftspeople. Our kitchens are an investment in your home. All millwork produced is uniquely designed and manufactured to suit your specific needs. By avoiding offering stock, pre-fabricated cabinets, we ensure a truly custom, top quality product. To meet the highest environmental and quality standards, Duke Custom Kitchens uses domestically sourced NAUF (No Added Urea Formaldehyde) materials when possible and Blum hardware, which comes with a lifetime guarantee. Cowry Cabinets Inc. is a pre-assembled kitchen and bath cabinetry wholesale supplier. Established in 2009, Cowry is a proven market leader with over 25 distributors and showrooms across Canada. 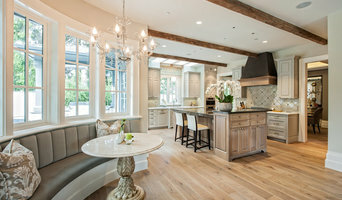 Counterculture Cabinetry creates unique kitchens and interior spaces by combining high quality craftsmanship and materials with innovative, eco-friendly designs. Using custom, semi-custom or stock cabinets, we have the flexibility to work with modest budgets or high end custom designs. We can also work with associate artisans to incorporate other materials – glass, mosaics, locally harvested woods, and living walls. A hands-on approach and commitment to eco-friendly processes guide your project from conception to completion. Our goal is to create uniquely crafted environments that you will love to live and work in. Serving Victoria, the Gulf Islands and Vancouver. Vancity Cabinets is a custom cabinet solution provider in Surrey & adjoining regions. We ensure topmost quality and supreme craftsmanship in designing, construction and installing closets & cabinets. TS Manufacturing Ltd. was established in 1989 & is a family owned & operated business. TS is located in Cloverdale, British Columbia & has been manufacturing fine wood finishing products for 20 years. When you think about cabinets, your mind probably goes straight to kitchens and bathrooms. But Richmond cabinetry professionals’ abilities extend far beyond those obvious spaces. If you need built-in storage, shelving or custom case goods, no matter what the room or purpose, cabinetry experts can help. Their focus on details and space-planning skills can help you squeeze functionality from even the tiniest corners of your Richmond, BC home. In addition, Richmond, BC cabinetry pros can help you give worn or dated cabinets a makeover. They can replace doors; add glass inserts, decorative moldings and other details; or give cabinetry a new coat of paint or specialty finish. Your cabinetry professional might work closely with a British Columbia kitchen designer, builder, remodeling contractor or interior designer. Here are some related professionals and vendors to complement the work of cabinets & cabinetry: Kitchen & Bath Designers, Kitchen & Bath Remodelers, Interior Designers & Decorators, Closet Designers and Professional Organizers, Woodworkers & Carpenters. Find a cabinetry professional on Houzz. Narrow your search in the Professionals section of the website to Richmond, BC cabinets and cabinetry. You may also look through British Columbia photos to find examples of cabinets that you like, then contact the cabinetry professional who worked on them.